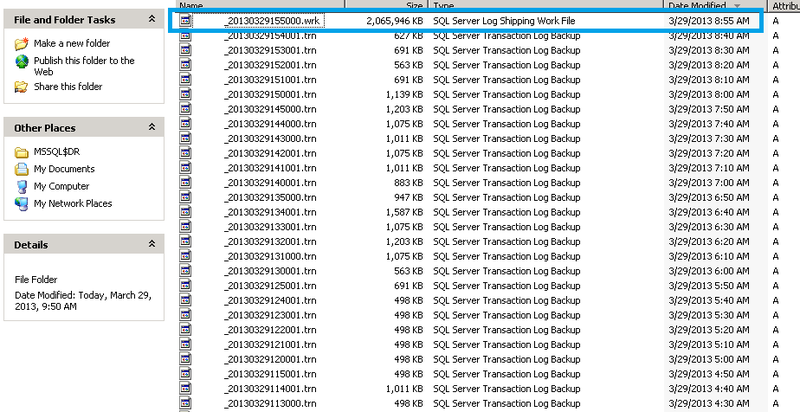 This entry was posted in High Availability and tagged .wrk file, copy, logshipping, primary, secondary. Bookmark the permalink. ← CU3 for SQL2012 SP1 – Couple of interesting hotfixes. It’s very good blog about the.wrk file. I kept monitoring in my production environment such kind of files. Please advise the time suggestion to keep upto date the most recent file restore on secondary server. Such as I keep delay 5 minutes for copy job after the log backup job finish on production server. then again 5 minutes delay schedule for restore job. So everyone get a chance to perform without any interrupt. Can u please tell me how many no.s of secondary servers we can add in logshipping with proof??? I don’t believe there is a limit or restrictions, but why you will ever want to have more than 2 to 3 secondaries? There is no limit for secondaries but Microsoft recommends 10 secondaries.